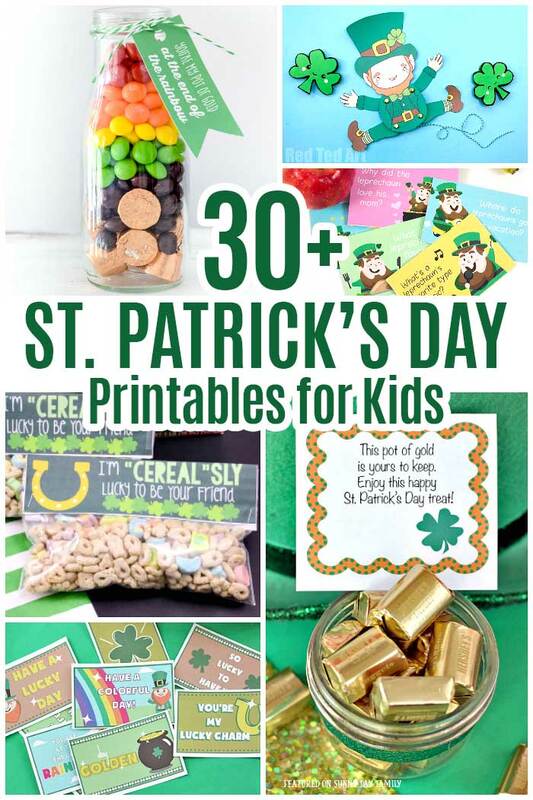 Over 30 St. Patricks Day printables for kids including leprechaun activities, coloring pages, and more! It feels like we just had our preschool Valentine's Day party and now everything is turning green. It's March, which means it is time to get thinking about celebrating St. Patrick's Day! Growing up in a half Irish house we loved to celebrate St. Patrick's Day with corned beef and cabbage, green outfits, and of course a leprechaun leaving us a pot of "gold." I'll admit, this is one holiday that I love but I try not to go overboard. 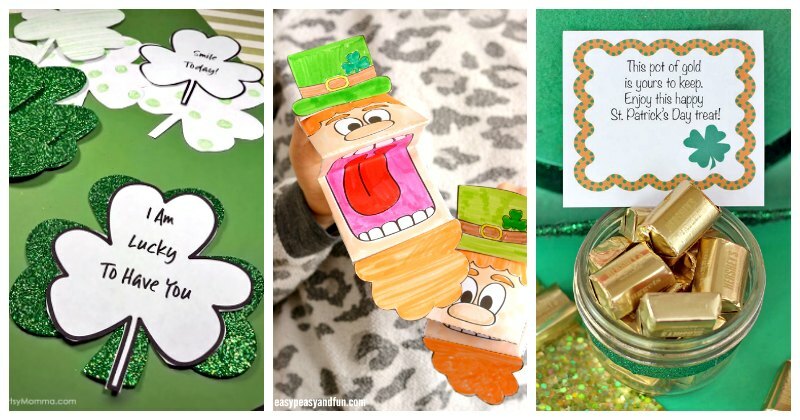 That's why I'm always on the lookout for fun St. Patricks Day printables for my kids. It makes it so easy to celebrate and be festive without all the work! This year I've pulled together over 30 of my favorites - from our annual Pot of Gold Scavenger hunt to preschool learning packs and everything in between. Ready to celebrate St. Patrick's Day with your little leprechauns? Here's everything you need! Photos featured in collages are marked with an * for your convenience. These printables are perfect for a classroom party, celebrating at home, or just having fun. Be sure to check out the scavenger hunt - it is our family's favorite tradition! 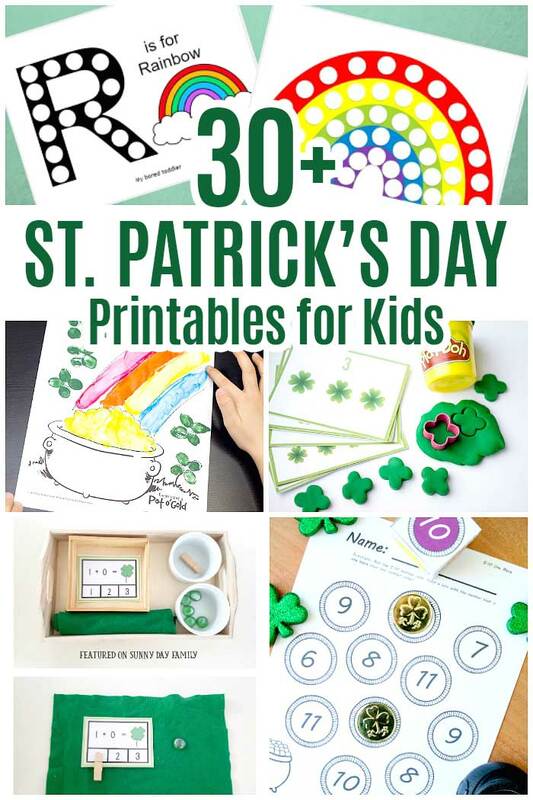 Whether you're working on reading, writing, or math, you can include some St. Patrick's Day fun in the mix! There are some awesome printable resources here, including a few big preschool packs. One of my favorite parts of celebrating any holiday is decorating the house. 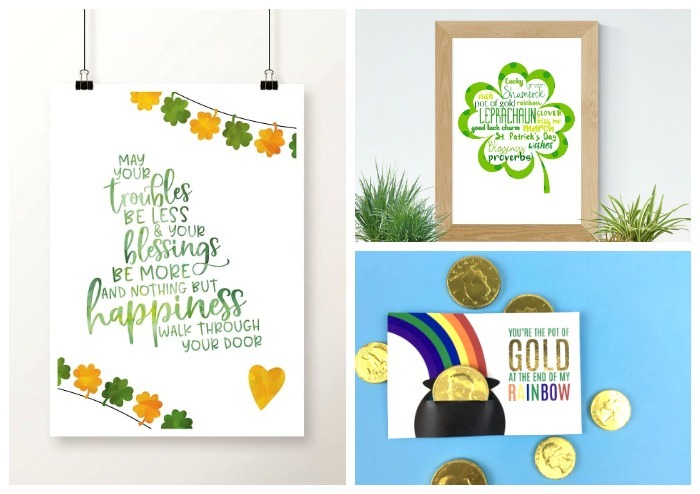 There are some really fun free printables to make your house Irish perfect, plus a few other surprises too! St. Patrick's Day is just one of the 8 holidays featured in my Year Round Holiday Planner, and it has everything you need to celebrate! Inside, you'll find 115 pages of calendars, checklists, activities and more to help you create an entire year full of holiday memories. It covers 8 holidays: Valentine's Day, St. Patrick's Day, Easter, July 4, Halloween, Thanksgiving, Christmas, and New Year's Eve. You'll also find a blank planning page for any other special days you want to celebrate.